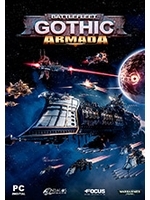 The Orks are coming in a few days in Battlefleet Gothic: Armada beta so here is a new trailer focused on their fleet. Hey ya forgot to upload the trailers...get some coffee or tea there bub. My bad :) It's up now.